My daughter that is pregnant had an emergency surgery and I had to get from Tampa to Dallas ASAP on a minutes notice. All other airlines charged between $700-$900 for a same day flight. I found Spirit and purchased a ticket for less than $400. I read upfront about the extra cost with baggage and food and planned accordingly. I took my one small backpack and bought my snacks and water and got onboard. The airport staff and the flight attendants onboard the aircraft were extremely courteous and kind. Yes the seats are closer and not quite the same aisle space but for getting me where I needed to go - fast and at a decent price. I had no flight delays and arrived on time. I flew from Chicago to South Carolina and back. Yes the flight was cheap and even paying for our bag still cheaper than anything else we could get. It is extremely annoying to constantly be asked for money while traveling. For your bags if you want a specific seat for water etc. don't expect to get anything without paying for it! Be prepared to wait in a long line if checking a bag as everyone checks a bag. The staff in South Carolina were very nice regarding weight I think they realized their weight restriction is less than other airlines as they gave us a little wiggle room (most airlines are 50lbs they are 40lbs). If you fly Spirit pay for bag before checking in online it's the cheapest. 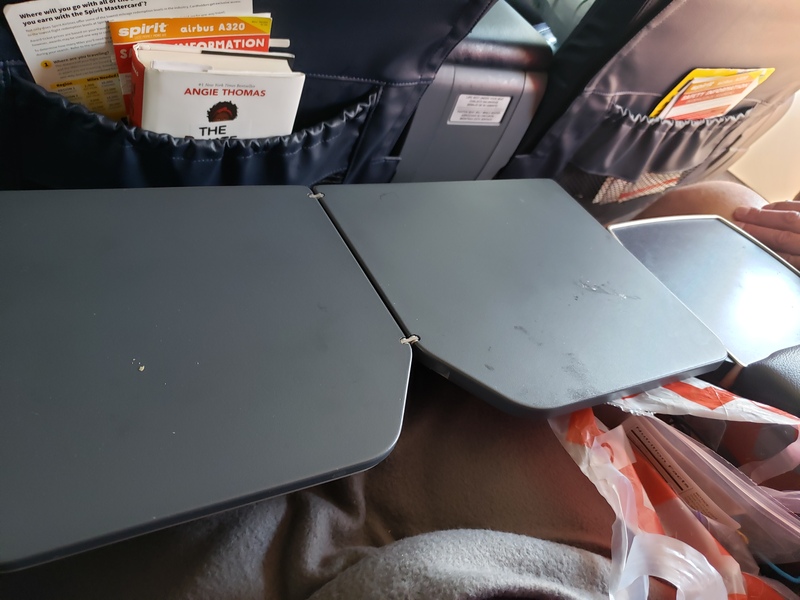 If your flying with someone else book tickets together because your seats will probably end up together and bring snacks. Flying Detroit to Dallas and the flight was delayed 4 hours because the tail of the plane was broken. Apparently there are no back up planes. Called Spirit customer service twice and received attitude. They would not book us on another airline and only offered a 60 day voucher but they would not tell us the amount or cap for this voucher. They also would not cover the taxes and fees associated with the voucher or any of the other nickel and dime fees that come standard with flying Spirit. 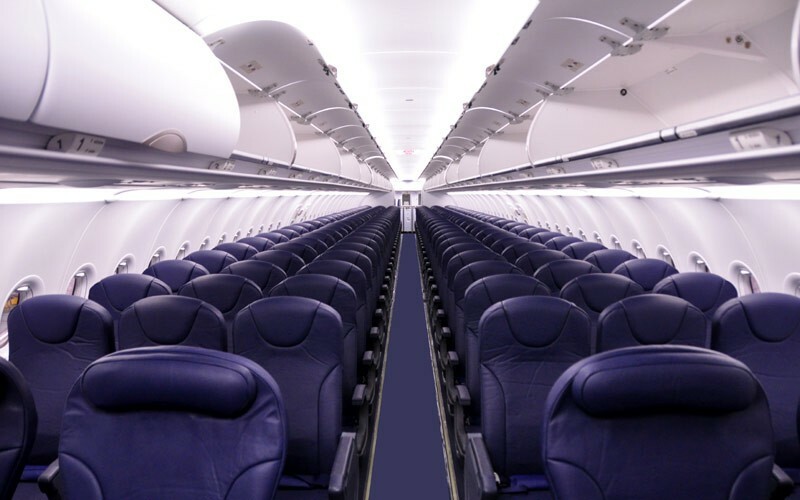 They offer the cheapest tickets because no one wants to fly their terrible airline and because they scrap their quality from the bottom of the barrel across the board. I am not a person who flies often. However my experience with Spirit Airlines was the least enjoyable of any trip to date. The airports were dingy and dirty the air planes were small and the seats were uncomfortable. 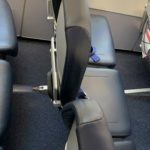 These areas of discomfort would have been on the verge of acceptable if the cost of our flights really were less expensive than the other air lines. In the end the cost of the bags (with a weight of 40 pounds max) the cost of a carry on and the fact that we had to pay to select our seat increased the cost of the flight to be equal of other carriers. The level of delays not just for our flight but for every flight that day (and not related to weather) was unbelievable. The saving quality of Spirit was the staff. Everyone was pleasant and helpful even in the midst of cranky customers. Bogota to Las Vegas via Fort Lauderdale. Terrible experience very dirty flight and extremely disorganized passenger service and operations. This airline having know the fact that it takes time to go through border control and homeland security gave us less than 1 hour at Fort Lauderdale airport to go through the security and immigration check during peak hours with over 300 odd passengers in a queue. This was at 18.45 hrs I was supposed to be on my next flight unfortunately with Spirit at 20.00 so we had roughly 35 mins. As a result I missed my flight. In spite of the fact that the airlines knew that so many passengers were stuck in the queue with immigration they didn't bother to delay the flight by few minutes and left us in limbo. I went to the service staff and they said they could not ud to Las Vegas that night but the day after. They wouldn't provide a hotel but said they could get me to LAX airport that night and I could make my way to Las Vegas by taxi (at my own cost ). This flight was delayed by nearly 3 hours and I reached LAX at 2.30 in the on 15th leaving me no way whatsoever to reach Las Vegas by 4 am to board my next flight. I had to buy another ticket for my international flight for roughly $900. Sure get a cheap flight but you'll get to spend hours and hours at the airport waiting to get on your flight. I am in the middle of 3 hour delay that has been upgraded to a 6 hour delay. I could have spent this time on something productive instead of sitting in an airport. My mother's last trip involving Spirit included a 2 hour delay and on my last flight with spirit it was a 3 hour delay. Change your name to Delay Airlines. I recently flew round-trip from Detroit MI to Las Vegas NV April 4th and April 7th 2014. 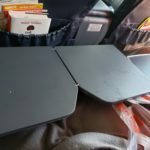 The airplanes that Spirit used for both of these flights were absolutely filthy (grease prints from foreheads on the backs of the seats and dirt on the floors). But this was the least of my complaints really. Spirit charges $45 for a carry-on bag when you use the 24 hour check-in services online ($55 if you check-in at the airport). If you would like to check your bag when you use the 24 hour check-in services online then it is $40 ($50 if you check-in at the airport). Oh and these are only one-way so for a round-trip flight double those amounts. I ended up paying $90 just to bring my carry-on bag on the plane with me. To choose your seat Spirit will charge you $18 one-way. Double that amount if you want it for a round-trip vacation. So if you would like to sit next to your friend significant other children parents etc. then it will cost you nearly $40 extra. Those complimentary beverages? On Spirit they are not complimentary. $3 per beverage and obviously no free refills. So while Spirit may advertise with those low prices flights they will then screw you over by charging you a ridiculous amount for luggage (both carry-on and checked) your seat and beverages that would otherwise be complimentary if you had chosen another airline. Do not fly with them! This is the worst airline I have booked through. There is a fee to pick your own seats nothing is transferable if something beyond your control comes up. 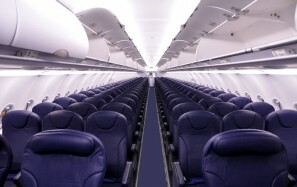 This is just not a consumer friendly airline it's just plain greedy. 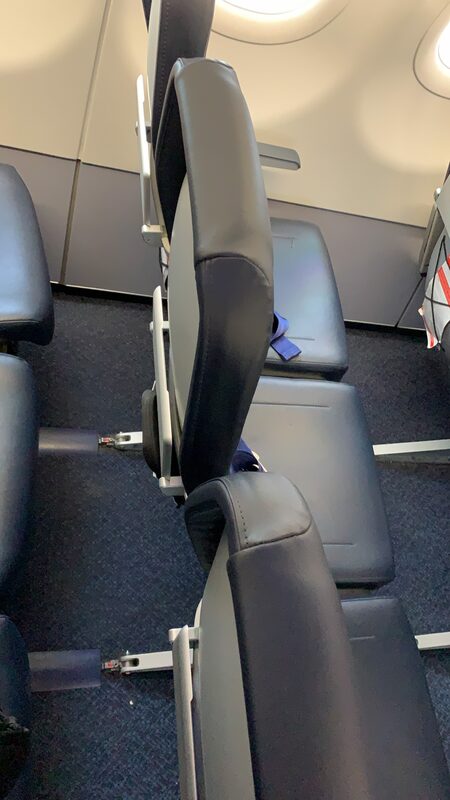 It's not comfortable in the seats and they make you pay for every single thing. I will NEVER book through this airline again they are the most greedy airline imaginable. Anything they can possibly make you pay for you better believe they will. The service is horrible. Nothing was good about this experience. Boston (BOS) - Fort Lauderdale (FLL) return. Just do your research understand what you're getting and how businesses operate. In my mind this is the equivalent of taking the cheap Chinatown bus from Boston to NYC. No one takes said bus for comfort or luxury or great customer service or poor in-flight food they take it because it's cheap and it'll get you there one way or another. Spirit's whole business model is based on what they consider "extras." 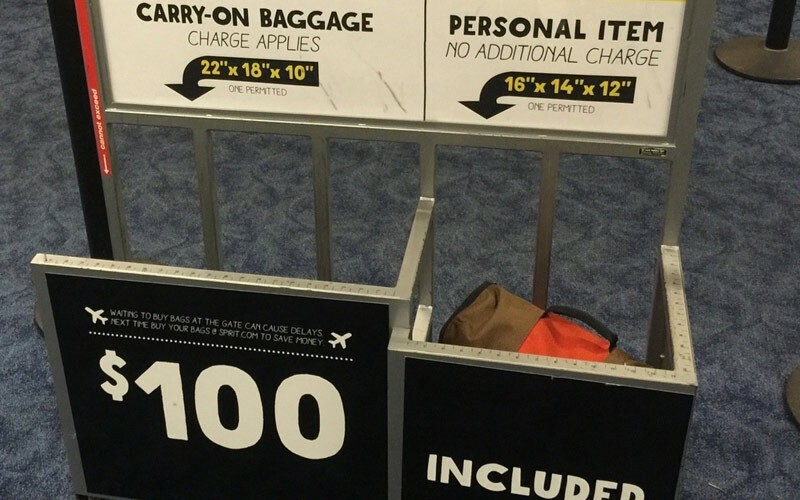 Carry-on that's bigger than a medium-sized knap-sack is extra. Being picky about your seat assignment is extra. In-flight snacks big seats using staff at the ticket counter all these are considered "extras." So when it comes down to it it's all a big game. They set the rules and you make the moves and manoeuvres to get through the maze with as few dings to your wallet as possible. With the "Spirit game" you don't pick your seats you bring your own food you pack as light as possible you measure and/or weigh your baggage beforehand to avoid penalties for getting it wrong you do your best to squeeze into small seats you listen to headphones when they do their credit card shpeel on the loud speaker if you can you go to the airport to buy your tickets (buying online carries a convenience charge) you find out ahead of time when the ticket counter is open at the airports you'll be flying through (if you need them) you avoid using the ticket agents in any way possible. Those are the rules of the game. It's up to you which rules you want to abide by and of course it's up to you whether you want to play the game at all. My sister and I flew to South Carolina and before we flew my husband called Spirit to see what the procedure was for checking baggage. He was told that although the internet says to pay $25 online or $50 at check-in or $100 at the gate we didn't have to. We flew out of Chicago O'Hare Airport with no problem. When departing South Carolina we were told as we were boarding that we had to pay $100 to carry a back pack and 1 piece of luggage with us on the plane. We and 3 other people had to pay $100 for nothing. It wasn't a problem going there suddenly it's a problem? I will never fly with this airline again.